Posted on 21, January 2019 by EuropaWire PR Editors | This entry was posted in Aviation & Aerospace, Financial, France, Travel and tagged A320, A320 Family, A320neo, A321 neo, aircraft, aircraft lessors, Christian Scherer, commercial aircraft, Customer colours, fuel efficient aircraft, lessor, livery, NEO, Peter Barrett, SMBC Aviation Capital. Bookmark the permalink. TOULOUSE, 21-Jan-2019 — /EuropaWire/ — Leading aircraft lessor SMBC Aviation Capital has boosted its total order book for the A320neo Family to 181 aircraft after signing a firm order for an additional 65 A320neo Family aircraft (15 A321neo and 50 A320neo). The order was finalised in 2018 and included in the year-end order figures. “Demand for the latest technology aircraft has been strong both from our existing and new customers, hence our decision today to proceed with this order. In the current environment, airlines are seeking more fuel efficient aircraft. The make-up of our order book positions us very well for the future to deliver on those needs. We have a strong relationship with Airbus and we look forward to working with them to continue to deliver for our customers long into the future,” said Peter Barrett, CEO, SMBC Aviation Capital. 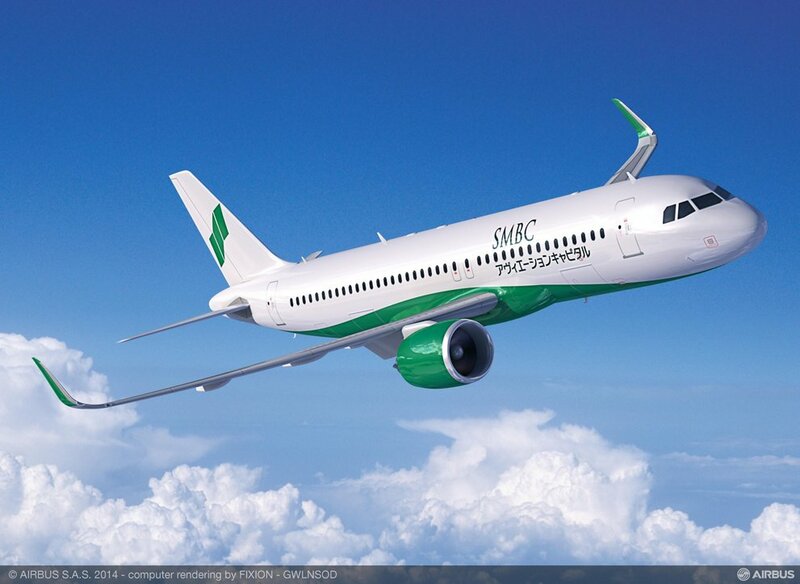 In addition, the agreement includes an upsizing of 15 A320neo from a pre-existing order to 15 of the largest member of the single-aisle Family – the A321neo – taking SMBC Aviation Capital’s total for the type to 30. With its unbeatable seat mile cost, longer range and wider cabin, the A321neo offers airlines the flexibility to expand their networks using wide-body cabin products on new longer-haul routes which were not previously possible with a single-aisle jetliner. The A320neo Family incorporates the very latest technologies including new generation engines, Sharklets and cabin efficiency enablers, which together deliver 20% fuel savings by 2020. With more than 6,500 orders received from over 100 customers since its launch in 2010, the A320neo Family has captured some 60 percent share of the market.